© 2019 Automobile Protection Corporation-APCO. EasyCare Engage and Covideo are a registered trademarks of APCO. MOTORTREND is a registered trademark of MotorTrend Group, LLC. 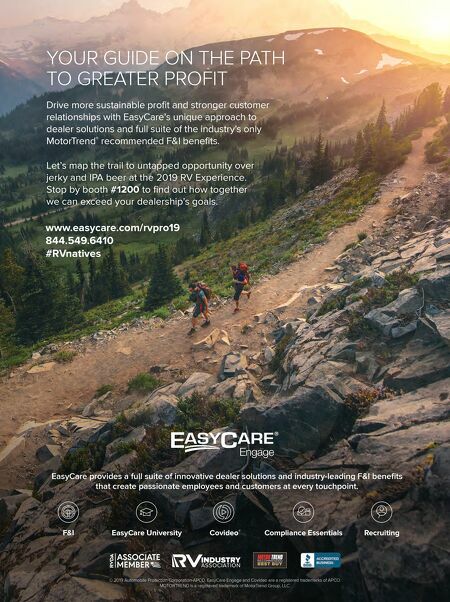 EasyCare provides a full suite of innovative dealer solutions and industry-leading F&I benefits that create passionate employees and customers at every touchpoint. Recruiting EasyCare University Covideo ® F&I Compliance Essentials YOUR GUIDE ON THE PATH TO GREATER PROFIT www.easycare.com/rvpro19 844.549.6410 #RVnatives Drive more sustainable profit and stronger customer relationships with EasyCare's unique approach to dealer solutions and full suite of the industry's only MotorTrend ® recommended F&I benefits. Let's map the trail to untapped opportunity over jerky and IPA beer at the 2019 RV Experience. 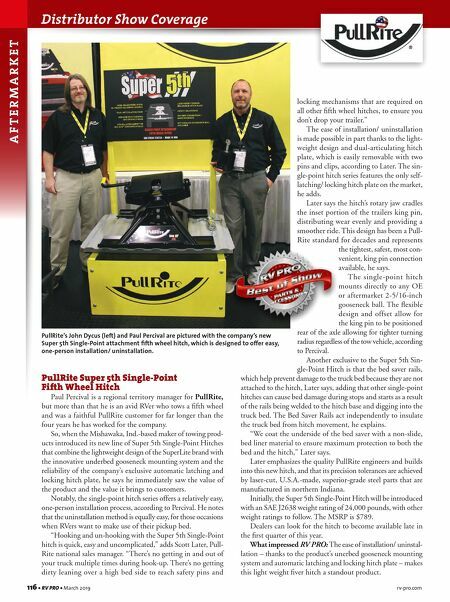 Stop by booth #1200 to find out how together we can exceed your dealership's goals.